Who Needs Humility? Those of you who have trouble keeping your inner tough chick in check will want to take a look at this cute tee from Albany Retro. Those of you who have trouble keeping your inner tough chick in check will want to take a look at this cute tee from Albany Retro. 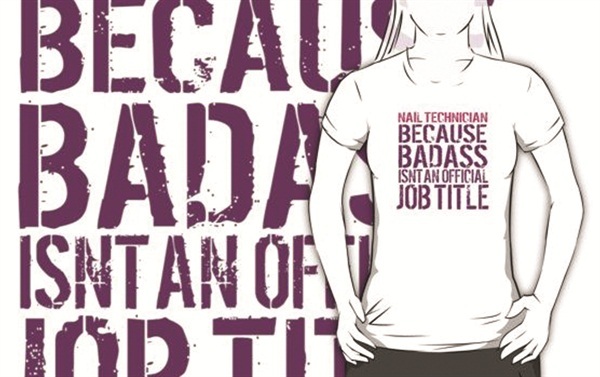 The T-shirt — reading “Nail Technician — Because Badass Isn’t an Official Job Title” — also comes in a hoodie version and is available in an assortment of sizes and colors. The message can also be found printed on stickers, tote bags, throw pillows, prints, and cards.